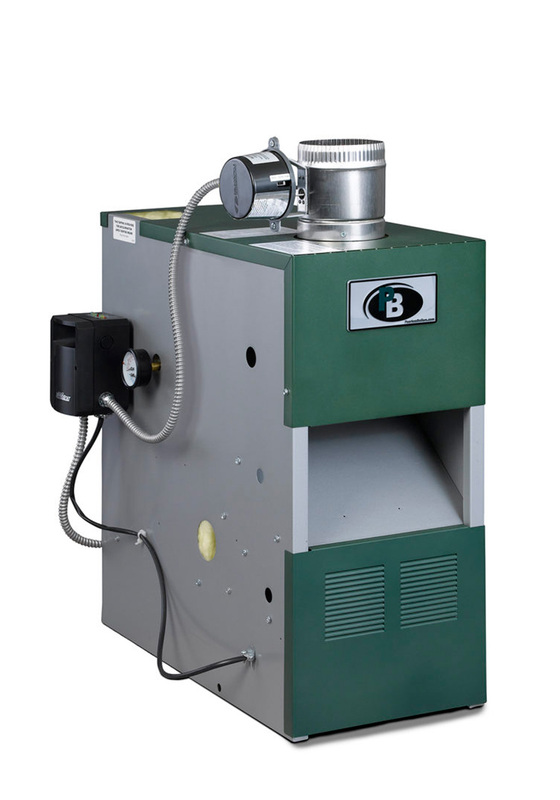 The Series MI85™ boiler is an 85% efficient, hot water boiler ready-to-install in conventional chimney applications. Like all Peerless® hot water boilers, the Series MI85™ is equipped with a low-water cutoff for safe operation and is backed by one of the best warranties in the industry! All product installation manuals and technical literature is intended solely for professional installers and any installation or maintenance techniques described in any of this literature should not be attempted by homeowners. Always contact a professional for installation, maintenance and service. Net water ratings based on an allowance of 1.15. Consult factory before selecting a boiler for installations having unusual piping and pickup requirements, such as intermittent system operation, extensive piping systems, etc. Heating Capacity and Annual Fuel Utilization Efficiency (AFUE) ratings are based on U.S. Government test. ©2019, PB Heat, LLC. All Rights Reserved.